The Surface Water Quality Bureau (Bureau) of the New Mexico Environment Department (NMED) requests quotes from regional public comprehensive planning organizations to conduct water quality management planning as defined under sections 205(j) and 303(e) of the Clean Water Act (CWA). These funds are made available through a Request for Quotes (RFQ) as, given the duration and amount of an award, this is the appropriate approach through the State of New Mexico Procurement Code. In response to this RFQ NMED seeks detailed quotes (i.e. proposals) to conduct water quality management planning. While all quotes focused on water quality management planning are welcomed, those which will fund activities that clearly address the State’s water quality goals to preserve, protect and improve the water quality in New Mexico are likely to be rated highest. In this respect, NMED encourages quotes focused on Total Maximum Daily Loads (TMDLs), Use Attainability Analysis (UAA) or other water quality management planning activities that will directly address identified water quality impairments but do not overlap with development of watershed based plans that are eligible for funding through NMED’s 319(h) program. Funding for the work program is dependent on the receipt of federal grants authorized under Section 604(b) of the federal Clean Water Act. The New Mexico Environment Department anticipates having funds available for award in early 2014. The contact person for this request for quotes is: Heidi Henderson, Monitoring, Assessment and Standards Section, Surface Water Quality Bureau, N.M. Environment Department, Harold Runnels Building - 1190 St. Francis Drive, N2109, P.O. Box 5469, Santa Fe, NM 87502. Telephone: 505-827-2901. E-mail Address: heidi.henderson@state.nm.us. 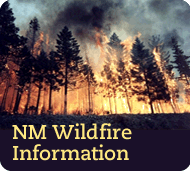 A complete copy of the RFQ can be requested from the contact person or downloaded from the Bureau website: http://www.nmenv.state.nm.us/swqb/RFQ. All inquiries regarding the RFQ or its supporting documentation must be made to the contact person. An original and three copies of the quote must be submitted by registered mail or delivered in person for review to the contact person at the above address by 4:30 PM, MDT on October 4, 2013. Electronically mailed quotes and hardcopy quotes received after this deadline will not be accepted.